The Army National Guard is in the process of establishing one of the Army’s six Security Force Assistance Brigades or SFABs. These new units are the brainchild of Army Chief of Staff General Mark Milley. He sees the SFABs as a professional and permanent advisory unit that can provide training, advice, assistance, and enablers to partner nation military forces. This article will explore the mission of the SFAB, selection criteria for volunteers, the advisor training unit members undergo, locations of the units of the 54th SFAB, and possible future missions of the unit. 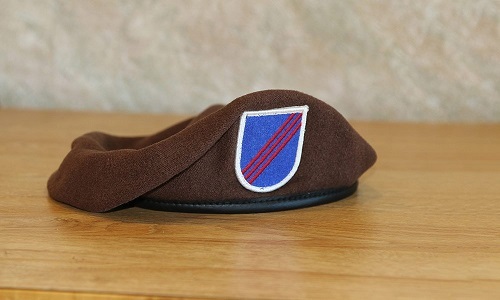 The 54th Security Force Assistance Brigade is the sixth SFAB to be established. The other five SFABs are active duty Army brigades. The 1st SFAB is based at Fort Benning and just recently returned from a nine-month long deployment to Afghanistan. The 2nd SFAB, based at Fort Bragg, is scheduled for an early 2019 deployment to Afghanistan. The 3rd SFAB has been established at Fort Hood. The 4th and 5th SFAB will be based at Fort Carson, Colorado and Joint Base Lewis-McChord, Washington. The Security Force Assistance Brigades provide a specialized unit for advisory missions. The SFABs will allow the Army to free up conventional brigade combat teams from advisory and training missions; which will allow them to train for their warfighting missions. The 54th SFAB has approximately 800 personnel in its force structure. The ranks are primarily E5 and above. Over 560 of the personnel slots are combat advisor positions. The mission of the SFAB is to advise, assist, train, enable, and accompany conventional units of partner and allied nations. Currently the 1st and 2nd SFABs are allocated to CENTCOM; with deployments to Afghanistan. It is likely that the remainder of the SFABs will be destined for CENTCOM deployments in the near future. 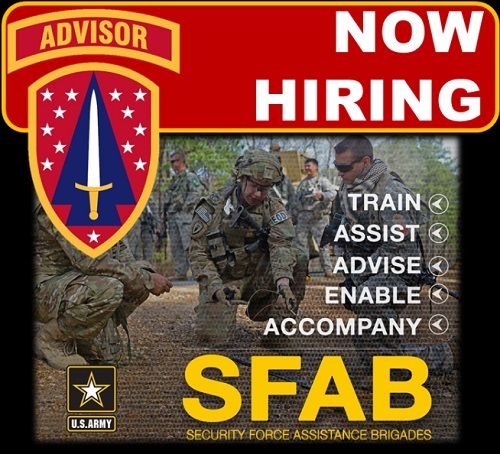 National Guard soldiers can volunteer for this unique unit but they must meet some SFAB selection criteria. The volunteers need to have a Military Occupational Specialty (MOS) authorized by the SFAB structure, should be fully deployable, be in good medical condition, have a score of 240 or higher on the Army Physical Fitness Test (APFT), and have a secret clearance. Key leader positions may require an interview by the SFAB commander or command sergeant major. Volunteers will attend a two-day assessment and selection process. This consists of a number of physical events such as the APFT, pull-ups, obstacle course, and 5-mile ruck march with 50 pounds. The candidates will undergo a leadership reaction course, take an MOS proficiency test, a warrior skills test, and write an ethical dilemma essay. In addition, during the two-day process there will be peer evaluations. The personnel who volunteer for the SFAB will receive specialized training. Part of being an effective advisor is knowing the language and culture of the partner nation force – so an advisor will receive a significant amount of training in those areas. Some members of the unit will receive foreign weapons training so they are accustomed to the small arms, mortars, and artillery of partner nation forces. In addition to the specialized training members of the SFAB will also participate in unit collective training. Prior to a combat deployment the brigade will very likely attend a rotation at the Joint Readiness Training Center (JRTC) at Fort Polk. Photo caption: Members of 4th Bn 1st SFAB receive training at JRTC. Photo by SGT Arjenis Nunez, 1st SFAB, Jan 20, 2018. 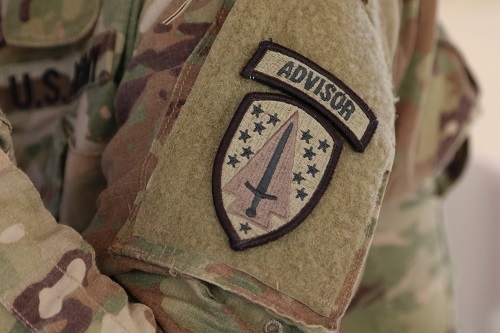 Many soldiers of the SFAB will attend the Combat Advisors Training Course (CATC) at Fort Benning, Georgia. The CATC is the primary course of the Military Advisor Training Academy (MATA) at Fort Benning. The course is approximately one month long; although it may increase to six weeks in the future. Members of the 54th SFAB started attending the CATC as early as the spring of 2018. The advisor course provides students to work together in small teams to solve challenging problems. The current commander of the 54th SFAB, Colonel Jeff Hackett, is a member of the Indiana Army National Guard. His previous position was as Indiana’s director of plans, training, and operations. Hackett has served as an infantry officer for more than two decades and has commanded at the platoon, company, and battalion level. He is a graduate of the U.S. Marine Corps Command and Staff College, U.S. Army War College, Airborne course, and Ranger School. 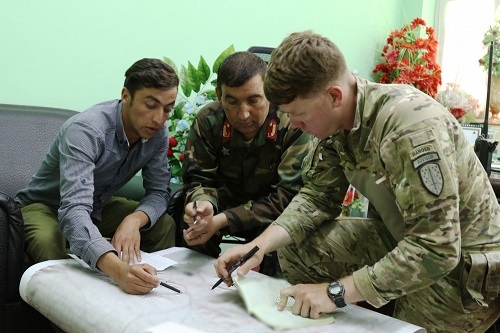 Photo caption: CPT David Zak 1st SFAB Afghanistan, advising ANA officer about security in Logar province, Afghanistan. Photo by Lt. Aubrey Page, U.S. Navy, August 7, 2018. The establishment of the Security Force Assistance Brigades should provide the Army with the ability to field professional advisor units to many areas of the world. The near future will likely see brigade level rotations into combat zones like Afghanistan and Iran similar to the just completed Afghan deployment of the 1st SFAB and the scheduled deployment of the 2nd SFAB. 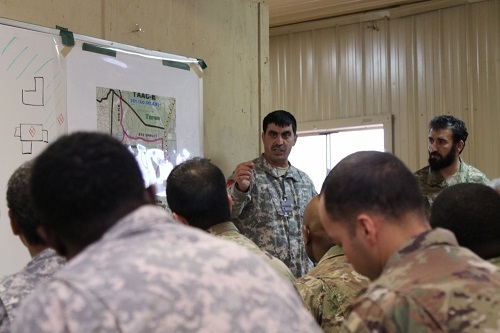 Once the requirement for advisors and trainers for Afghanistan and Iraq diminish it wouldn’t be a stretch to imagine smaller units deploying to countries in Africa to conduct security force assistance missions. The 54th may be one of the SFABs sending off twelve-man advisor teams for short (a few weeks) or long (several months) advise and assist missions overseas. Trump Said Turkey Will Finish Off ISIS. Maybe Not.